I am officially back to school...and am super exhausted! 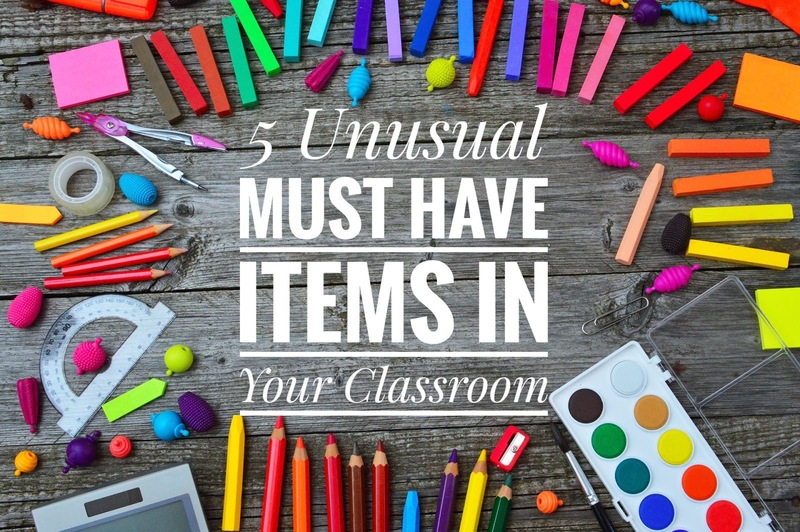 Being back, I have got to thinking about some unusual items that are on my Must Have School List! Disclaimer: Please note that there are affiliate links for some items. Clicking on them will cost you nothing but may earn a small commission for me. My third graders vary greatly in height. I have students that are shorter than Kindergartners (yes...really) to those almost as tall as me. When they set up our Promethean boards, they didn't take into account the little ones. It was tough for my little ones to complete any activity on the board. To combat this, I got a little step stool. This stool folds up out of the way when not in use and is extremely durable! It's helped my students find an even playing ground. While I am not a huge fan of official anchor charts, I do like to make a chart every so often. I like the flexibility of moving them around the room. To make this easier to change up (and store), I place the charts on pants hangers. It's also nice to flip the charts around and have a front and back side. I introduced my students to the alarm on my alarm clock app today. I use it for remembering to take attendance. I dread the call, "Miss Barker, were you able to post attendance?" Clearly the answer is always, "No, I couldn't post attendance because I was doing a billion other things but I guess I can post it now." Now, at 8:45, I stop whatever I am in the middle of doing and shut that alarm off while taking attendance. I am a stickler when it comes to my coffee cups/water bottles. The reason I am so fussy is that I bring multiple containers with me to school and I am accident prone. Maybe being accident prone should be the number one reason. These bottles/cups will NOT spill. Believe me I have tried. Between the amount of times I knock them over or drop them on the floor (the water bottles may have a few dents), they have stayed in one piece without spilling a drop. To drink, you push the button on the side to open both of these. Easy, peasy, lemon squeezy! I hang posters using command hooks, ribbon, and/or binder rings. I also use the command strips when nothing else will stick to the wall. These may be a bit more expensive but so is my sanity! Command strips work really well on cement. I also have placed the command strips around the room so that I can hang the posts on pants hangers. It's very convenient. 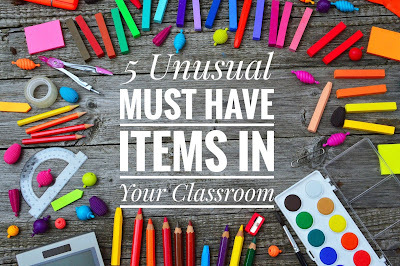 What are some unusual must-have items for your classroom?